The PET bottle has emerged as the preferred packaging for drinks among Japanese millennials due to its ease of use and eco-friendly nature. 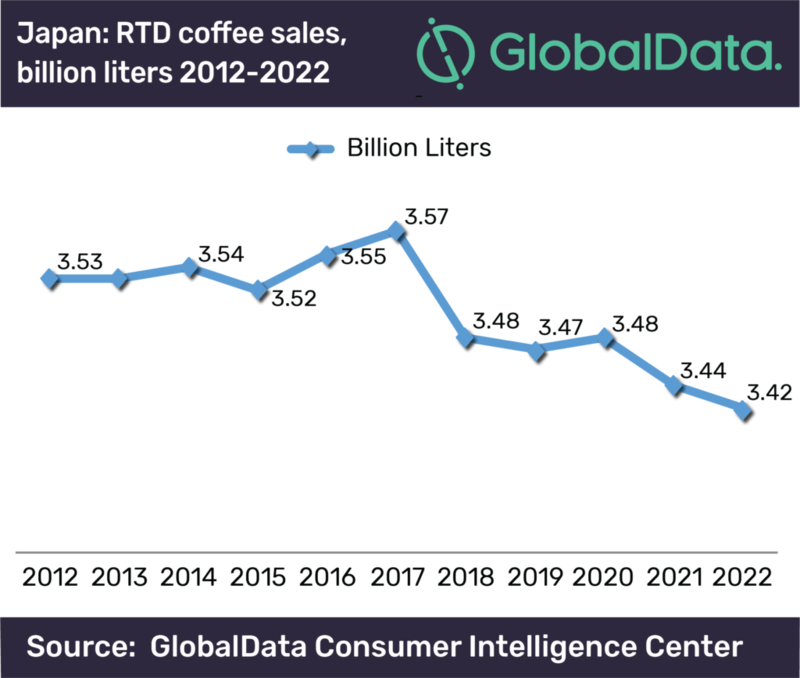 Against this backdrop, beverage giant Suntory Beverage & Food Limited (SBF) is looking to capitalize on the growing popularity of this packaging format to drive ready-to-drink (RTD) coffee sales amid a shrinking RTD market in Japan, says GlobalData, a leading data and analytics company. According to the company’s report: Success Case Study: Suntory Craft Boss – Craft-style ready-to-drink coffee resonates with Japan’s Millennials, Japan is the largest RTD coffee market in the world, selling 3,574 million liters in 2017. However, the market volume growth in Japan has been slow in recent years and is expected to decline at a compound annual growth rate of -0.89% between 2017 and 2022. On the other hand, GlobalData’s Market Analyzer reveals that the percentage of sales of PET bottled RTD tea & coffee has increased by 2.81% from 6,659.30 million liters in 2017 to 6,851.58 million liters in 2018. Suntory launched Craft Boss, a new range of RTD coffee under the Suntory Boss brand, in April 2017. The Craft Boss range is sold in PET bottles rather than metal cans to offer new consumption experience to millennial consumers. Craft Boss PET bottled coffee series crossed 27 million cases in 2018. It was the biggest driver of Boss coffee sales, which crossed 100 million cases last year. The success of this series helped Suntory compensate decline in other products, with a very strong growth of 8 million cases in 2018 compared to the previous year.